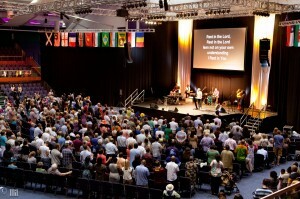 Eden Christian Centre is a thriving, multi-cultural Church in the heart of Ilford, Essex. We are a fresh, vibrant, Spirit-led, Jesus centred church that love the Word of God and love to worship. We say Church, but not as you know it because so many people have a preconceived idea about what Church is like, we want to change that. We want your experience to be exciting, lively, friendly and the best place to be in your week! Eden Christian Centre is Church, but not as you know it! God’s favourite garden. 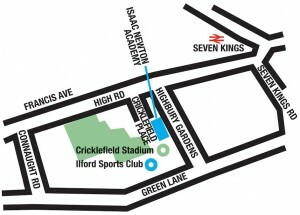 We are a warm and friendly fellowship in the heart of Ilford, not too far from the Docklands. Eden is a fruit of the 1904 Welsh Revival. The Church fellowship started in Barking in the 1940's, then moved from Barking to Ilford in the late 1950’s. Eden Christian Centre is an Apostolic Church and part of The Apostolic Church in the UK and The Apostolic Church worldwide; The Apostolic church was formed in 1916 and is one of the oldest Pentecostal denominations in the UK. If you are looking for a church, you are welcome here at Eden, finding somewhere to call 'home', is important, home is where you can develop your gifts and skills. At Eden we will encourage you to do just that. In 1904/5 Wales experienced an outbreak of Revival, which had tremendous effects on many parts of the British Isles. This was followed by a mighty visitation of the Holy Spirit, which fell simultaneously on many parts of the world and many received the baptism of the Holy Spirit with signs following. As a result, various Pentecostal groups worldwide were formed, they believed that the gifts of Apostles, Prophets, Evangelists, Pastors and Teachers of Ephesians 4:11, should operate in the Church together with the nine gifts of the Holy Spirit spelt out in 1 Corinthians 12:1-11. The Apostolic Church was therefore born in 1916 in Penygroes, South Wales, United Kingdom. It was the vision of Apostolic doctrine that gripped the first leader of the Fellowship, Daniel Powell Williams, who in 1913, was ordained an Apostle in the Body of Christ and later became the first President of The Apostolic Church Council and remained so until his death in 1947. The Lord also called brother William Jones Williams, as a Prophet in the Body of Christ and in 1913 he was ordained into the full-time ministry of the Church. They were called together with others to demonstrate the New Testament offices of Apostle and Prophet in the United Kingdom. Subsequently these ministries were exercised in other countries and continents of the World. It has pioneered churches in over 40 nations, many of whom are now self-governing, most notably in Western Africa, Australia and New Zealand. Eden is a fruit of the Revival. The Church fellowship started in Barking in the late 1940's, then moved from Barking to Ilford in the late 1950’s. Eden Christian Centre is an Apostolic Church and part of The Apostolic Church in the UK and The Apostolic Church worldwide. Our vision is to reach people with the Gospel of Jesus Christ, transform lives and make everyone a disciple. Eden Christian Centre is an Apostolic Church and part of The Apostolic Church in the UK and the Apostolic Church worldwide. The Virgin birth, sinless life, atoning death, triumphant resurrection, ascension and continuing intercession of our Lord Jesus Christ; His second coming and millennial reign upon earth. God’s eternal Son was born to Mary, a virgin, from whom He received His humanity. Fully human, He was nonetheless without sin, having been conceived by the Holy Spirit. Having lived with perfect holiness, He bore in His death the penalty of all others’ sin. After God the Father raised him from death He returned in triumph to heaven where He represents His people. He will come again to rule over the earth for a thousand years. Matthew 1:18-25, Acts 2: 29-32, Hebrews 2:9, 1 Peter 2:21-24. The obligatory nature of tithes and offerings. The privilege and responsibility of bringing tithes and offerings to the Lord. It is our privilege and responsibility to give a tenth of our income to support Gods’ work. Further giving should result from increased prosperity and as we are faced both by opportunities to spread the Gospel and the world’s need. In 2004 Tolu joined Eden Christian Centre to work in the Youth department and in other areas of church ministry. In February 2006 he was ordained as an elder and in July 2014 he was called to be a pastor in Eden Christian Centre. He enjoys teaching the word of God and leading Bible studies. He oversees the finance department in the church. He currently works in central London as a Software Developer. He is married to Yetunde. Together they have four lovely sons. Yetunde heads the worship Department and is one of the worship leaders. Eden has a special place in our hearts. We have attended this church since our 20’s after moving from the Midlands. Our children have been raised here too and it’s our home, God's beautiful garden. Bryon ran an Advertising and Marketing Company for 15 years until 2006, when he was called into the ministry. He has a passion to see people healed and set free. He is used in the area of healing and has a passion for worship, he is also used in this area. He has seen the power of God heal those who have been afflicted with blindness, cancer, arthritis, diabetes, demonic possession and many other infirmities. Bryon is the Senior Pastor of Eden Christian Centre, Church but not as you know it. Eden is part of The Apostolic Church based in Ilford. Bryon is married to Christine; they have three adult children, Kezia, Joshua and Georgina who are also involved in the Church. Christine is a HR Consultant and heads the Pastoral Care within the church. Visiting any church for the first time can be daunting – there are lots of questions, and you are probably wondering what to expect when you arrive. The one thing we try very hard to do is to give everyone a warm welcome, and try to make your visit worthwhile. After all, we’d love it if you wanted to come back! Eden Christian Centre Eden Christian Centre is part of the Apostolic church, which was first formed in 1916. Eden consists of a wide range of different people, from all ages, different backgrounds and cultures. Whoever you are, you are assured a very warm welcome. 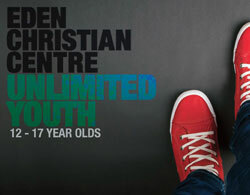 Eden Christian Centre is in the heart of Ilford, Essex, on the edge of the town. On Sundays there are plenty of free on the road parking around the Church. On Saturdays and during the week parking is free after 6.30pm. There are no parking restrictions in the neighbouring roads, although please be considerate by not parking too close to driveways and road junctions. If you want a space you might need to arrive early. If it’s your first visit then it’s probably best to turn up about 5 or 10 minutes before the service begins. You’ll be greeted at the door by our ‘Welcome Team’ who will give you some information about the service and notices of forthcoming events and show you to a seat. Our regular style of worship is contemporary praise and worship songs with an emphasis on biblical preaching. We take a collection during our services, but as a visitor there is no obligation to give. Hopefully you’ll find us to be friendly and if you don’t understand something please ask. 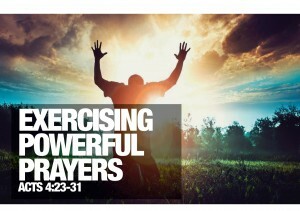 As Christians, we believe that prayer changes things. Often after the preaching we offer ‘Prayer’. This usually takes place at the front of the church. Prayer is also available at other times so please do not be afraid to ask. Absolutely not! We offer mid-week services, activities and groups. Groups meet for friendship, study and prayer and are a great way to get to know others in the church and grow together. We aim to be an all-inclusive church, with a Church that is accessible for those with disabilities. There is so much happening at eden and we would love you to be a part of it. Get connected will help you integrate into the life of the Church. Interactive Bible Teaching and discussion every Tuesday at 7.45pm to 9pm. Discovering some interesting things in the Bible. We will also facilitate a discipleship teaching group for those who are interested. We are so grateful for the generosity of people that enables Eden Christian Centre to bring practical and spiritual help across a wide range of ministries. Those of us who consider Eden to be our home are encouraged to help further this work through financial support. We believe that it is very biblical to demonstrate our love for God through sacrificial giving. You can do this by filling out the envelope provided and placing it in one of the offering containers. An offering is taken at the morning service. You can use the giving envelopes provided to give cash, cheque or make debit or credit card payments. This is an effective and convenient way to give. Simply decide how much you want to give, set it up, and let your giving take care of itself each month. Speak to Pastor Tolu Olomolaiye if you would like to set up this facility. You can give your regular tithes and offerings online. Log on to your online banking and request to set up a donation to be made to The Apostolic Church - Ilford, Sort Code 40-02-48, Account Number: 41673025. When setting this up, please provide us with your surname and initials, and email info@edencc.co.uk to let us know you have set up a new transfer. If you would like to pay by cheque, please make it out to The Apostolic Church – Ilford and send it to The Finance Team, Eden Christian Centre, Connaught Road, Ilford IG1 1RN. You may also place it in one of the tithe envelopes and place it in the offering basket during the service. Through your employers payroll giving (this will only apply if your employer offers this scheme) contact your employer for details. Have you signed up for our Gift Aid scheme? The Gift Aid scheme entitles Eden Christian Centre to claim an extra 25p on every £1 given by a UK taxpayer. It won’t cost you any extra; the government pays us on your behalf. Finally, we are asking that you would pay special attention when completing your donation envelopes ensuring that your contact details are clear. Eden Christian Centre is a registered charity (Registered charity: 284789) If you would like to find out where our money has been spent, you can speak to Pastor Tolu. 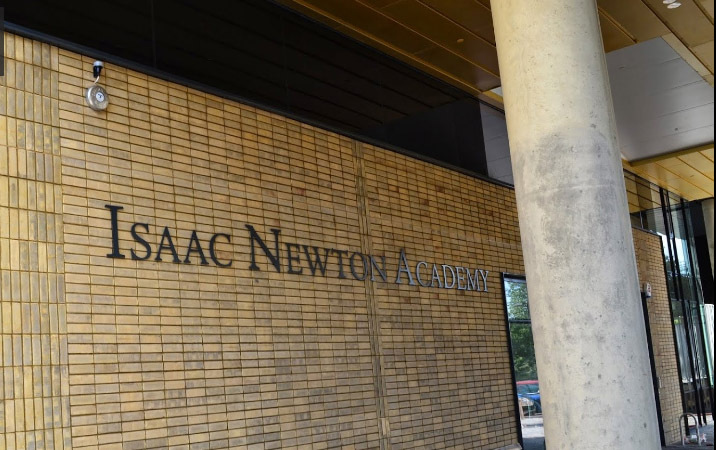 We have outgrown our current building and to accommodate the growth, we have moved our Sunday morning services ONLY to The Isaac Newton Academy. 1 Cricklefield Place, Ilford IG1 1FY. 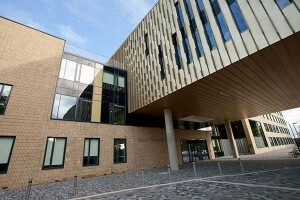 The Academy accommodates 600 people plus there is plenty of FREE parking for everyone. The Academy is a one-minute drive and a five-minute walk from our Church in Connaught Road. The nearest train station is Seven Kings. From Ilford town centre. From stop F you can get a number 86 bus, come off at Aldborough Road, Seven Kings (Stop K) and we’re a minute away. Our main meeting starts at 11am in the Academy for approx. 120 minutes and consists of around 40 minutes of sung worship, welcome and announcements, followed by preaching/teaching. On various occasions we will pray for the needs of the people. Refreshments are served after the meeting and we would love for you to stay behind to meet everyone. The Welcome Team are around and would be delighted to get to know you and answer any questions you may have about the church. At 10am there is a prayer meeting for 45 minutes. We have a ‘new to church’ day for those who would like to know more about the life of the fellowship. We will inform you of when these are happening. We love families at Eden Christian Centre and if you have children with you, we want them to enjoy church too. The children will remain at Eden Christian Centre where they will have more space, freedom and flexibility. The children will remain at Eden Christian Centre from 11am. You can drop Children off from 10.45am. For further information on Children’s Church visit the Children’s Church section. Every 1st Sunday of each month we all come together for worship and communion at The Isaac Newton Academy. Everybody is welcome at Eden Christian Centre and we want to invite you to come and join with us on a Sunday in powerful praise and worship, teaching and the inspired word of God; come and celebrate all that God has done.